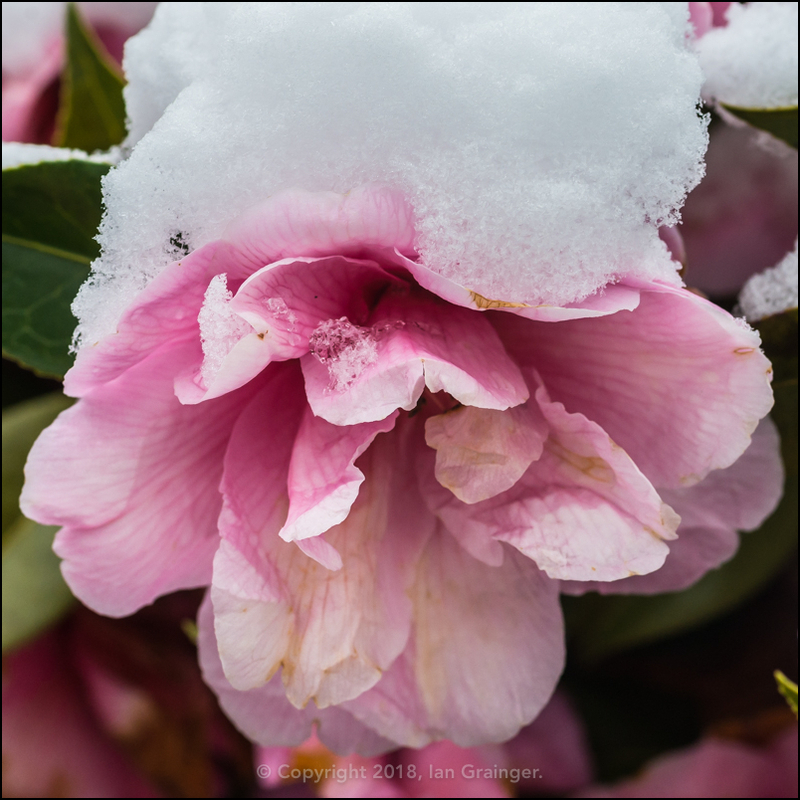 Well, after telling you last week that the days were getting warmer, and the insects were waking up, we had a bit of a shock to the system this week as the snow returned. 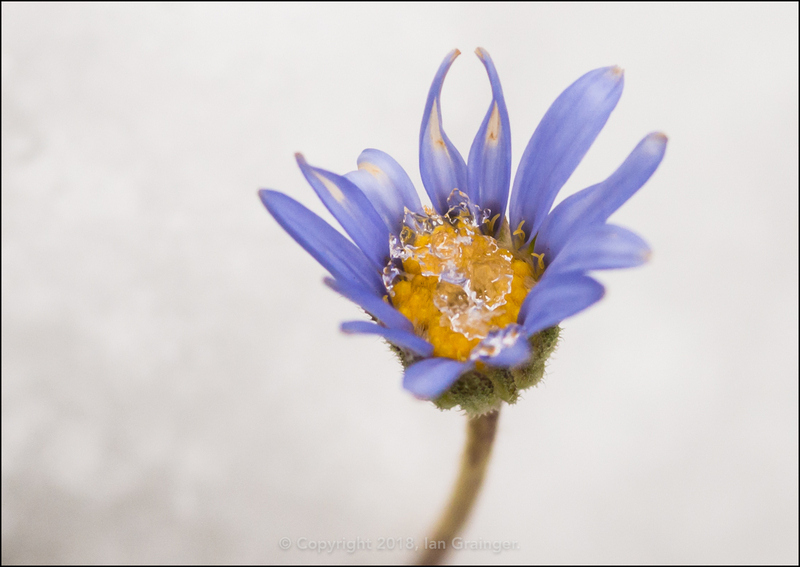 However, the biting cold winds, frequent snow falls and increasingly heavy frosts weren't putting off this Blue Marguerite (Felicia amelloides) bloom. 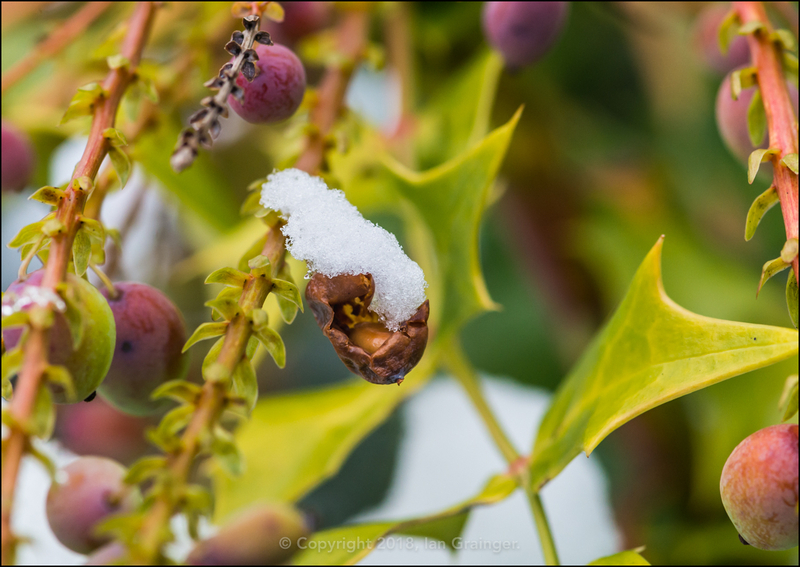 These hardy little plants should have stopped flowering well before Christmas, yet here they were, in my garden, once again defying the odds. 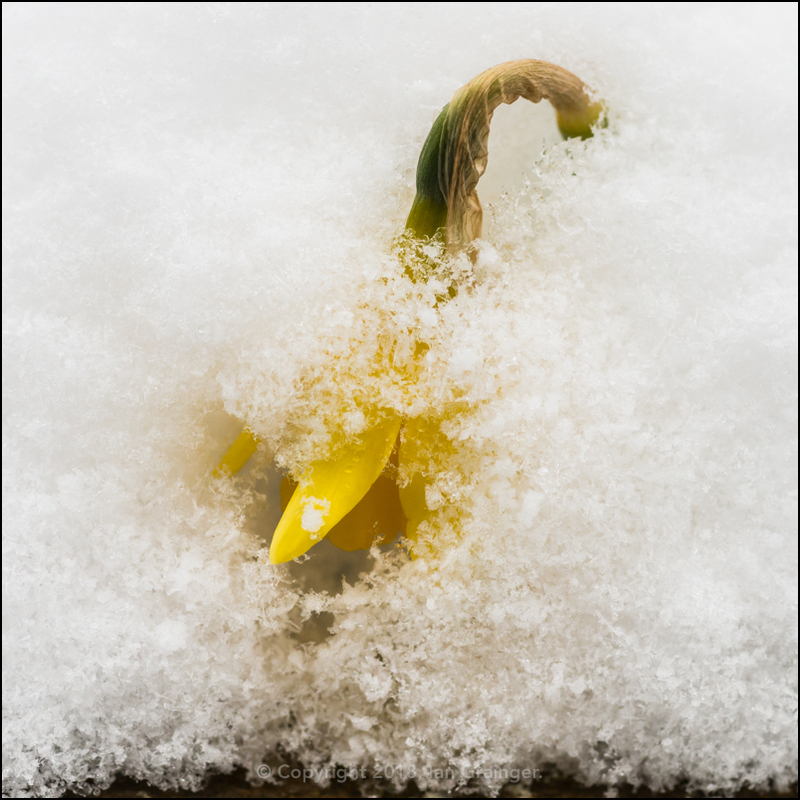 Unfortunately, my little Daffodil 'Tete-a-Tete' (Narcissus 'Tete-a-Tete') plants weren't tall enough to resist the onslaught of snow, and had rather buried their heads into the white stuff. 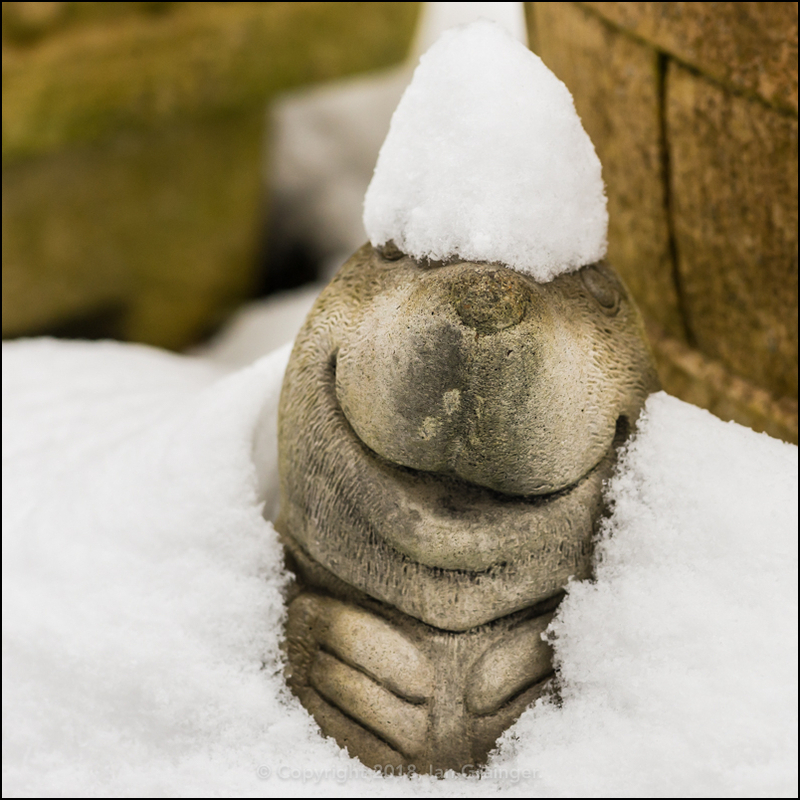 Meanwhile, Mr. Mole was looking particularly cute, wearing his cap of snow and mischievous smile! Over in dad's garden, it was a similar story. 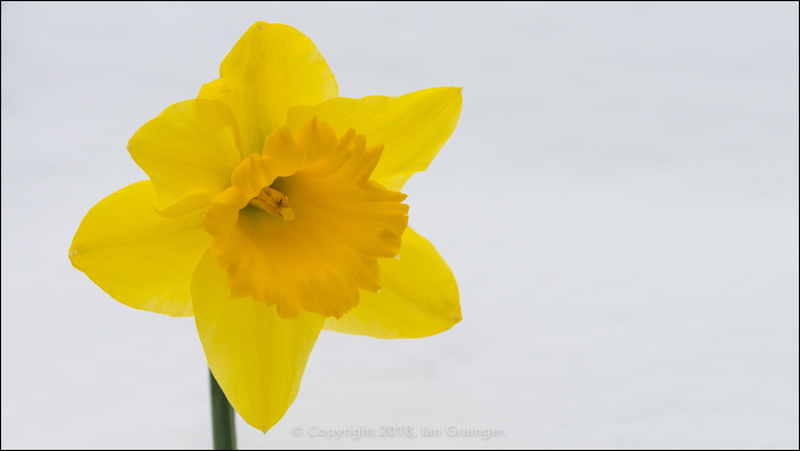 However, the taller Daffodils (Narcissus) were standing proud, heads held high above the snow covered ground below. 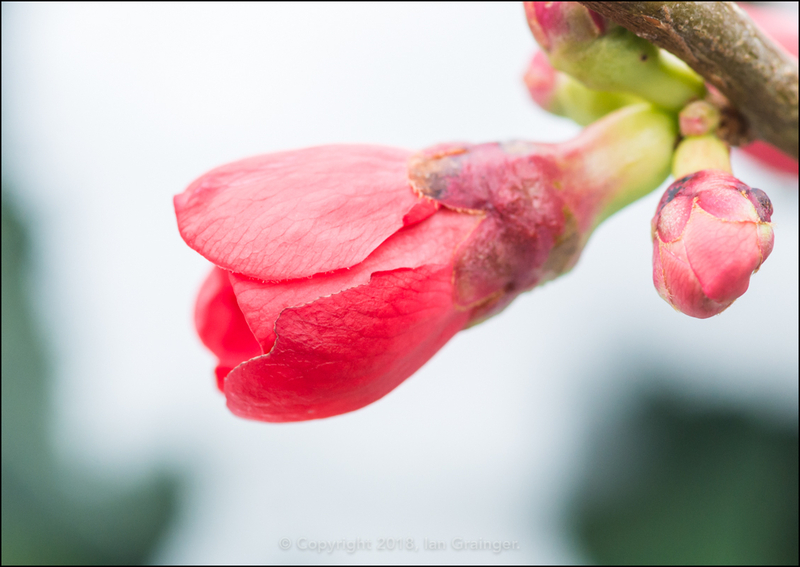 The Quince (Chaenomeles) bush still had lots of flower buds, and seemed to be debating which ones to open, and which ones to keep tightly closed. 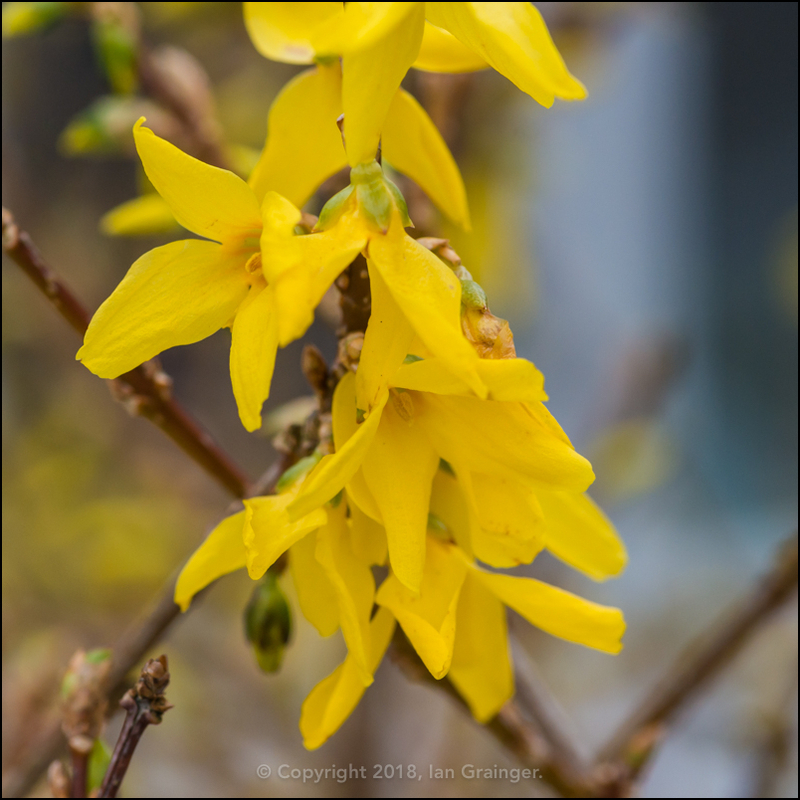 However, the Forsythia (Forsythia intermedia) bush, which was in a more sheltered position, had decided to go for it, and had begun opening the majority of its flower buds. 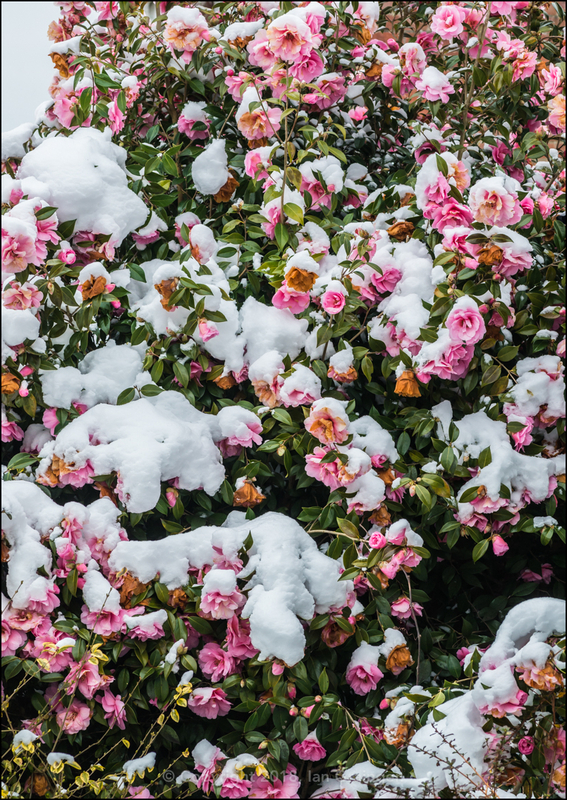 ...and indeed, the whole bush seemed to be doomed for this year, after bouncing back from the brink of disaster last week. 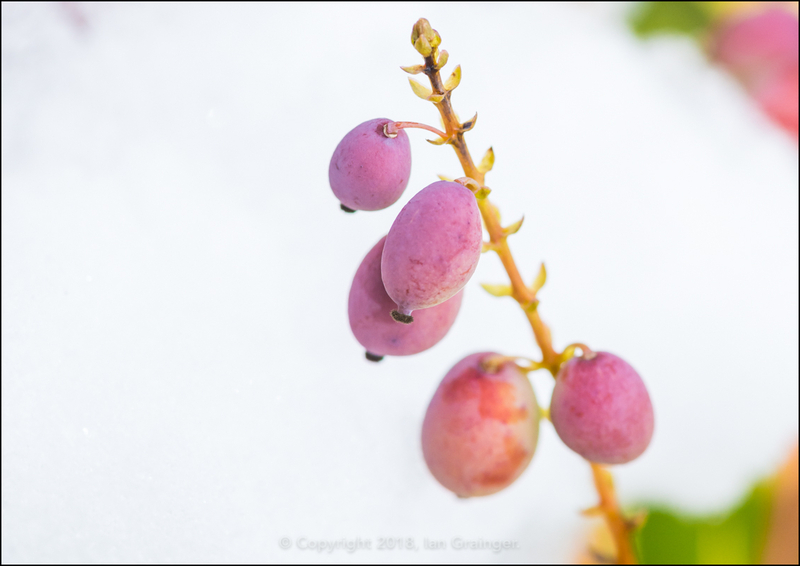 ...and who could blame the birds, as the berries looked particularly colourful against the snow, and definitely good enough to eat. 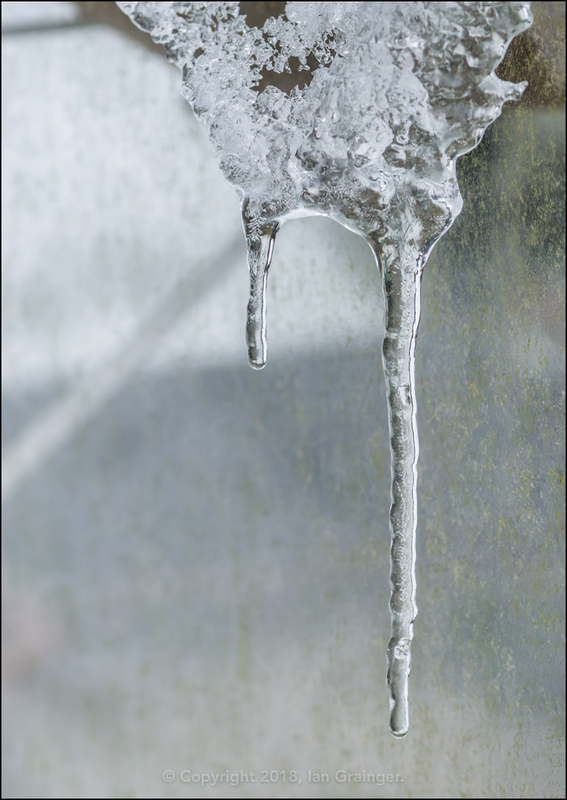 It's not often that we see icicles down here in the South of England, so I had to record this one, which was hanging from the roof of the greenhouse. 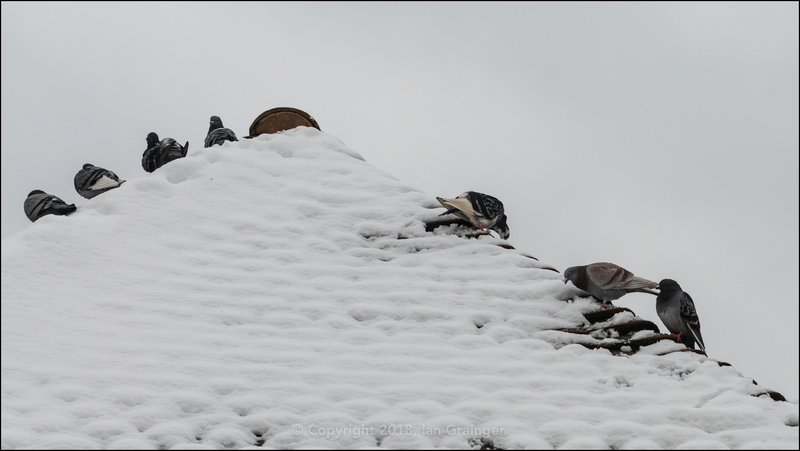 As you may well imagine, there wasn't much avian activity going on with it being so cold, but the ever present Feral Pigeon (Columba livia) community kept me company during my photo shoot. 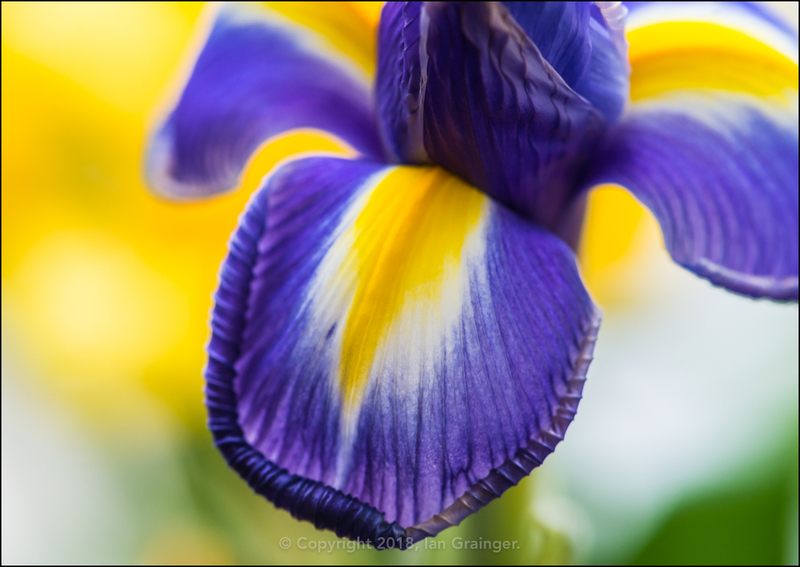 Back indoors, the Irises from last week's Mother's Day bouquet had opened, and were looking extremely colourful and cheery. Finally, another new fishy friend to introduce you too. 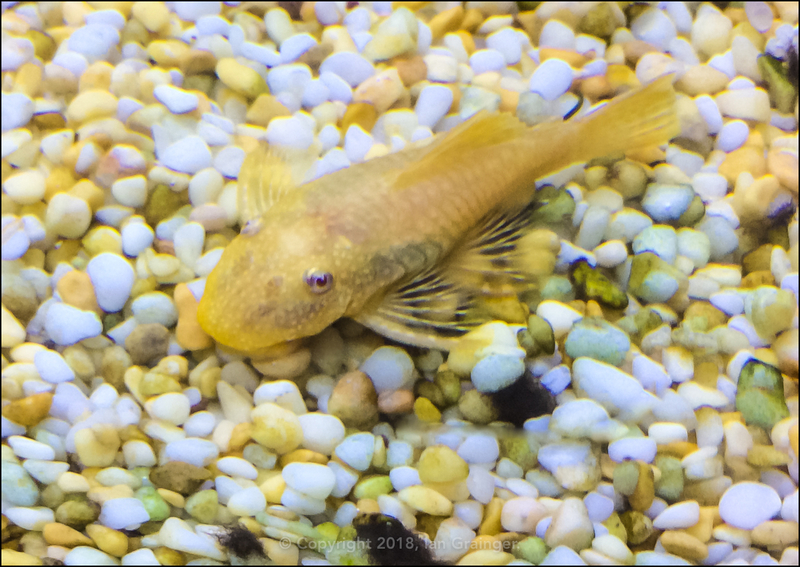 This is Goldy, my very unimaginatively named Golden Bristlenose (Ancistrus) catfish. He's currently doing a great job of cleaning up some stubborn algae issues I've been having in one of my tropical fish tanks.